Dr. Jonathan Urshan is the owner and founder of Dr. Urshan Health and Weight Loss Center. Whether you are from around the corner or from around the world, Dr. Urshan’s proprietary weight loss program is transforming lives. The specificity of the program asks the body precisely what it needs and then determines the specific and exact plan for simple and exact action steps so that you can overcome your weight loss, hormone and health challenges. Dr. Urshan, a proud Florida native began his journey in functional medicine with the influence of his mom who is a 27-year cancer survivor. Today she is as healthy as ever and is a strong, lean, active, and an advocate of a healthy lifestyle. He is a graduate of the University of South Florida and received his doctorate at Parker Chiropractic University. Dr. Urshan practiced and opened two clinics in Southern Guerrero, Mexico where he met his wife Martha, and they have been happily married for 13 years. His marriage was a package deal, and along with his wife came to her gorgeous Dalmatian “Tara”. Tara is a vibrant, healthy 16-year-old, who still acts runs eats like a thoroughbred and has been Dr. Urshan’s science project for the last 14 years. 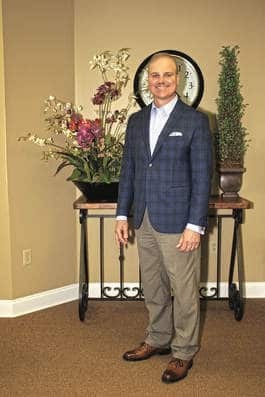 More than anything, Dr. Urshan and his wife Martha are passionate about helping others live healthier, better quality lives in our community and around the world. His functional health and weight loss centers are allowing him to do just that and in a big way! People all over the country are losing dramatic amounts of weight, getting off medication, learning principles of good health, and living their lives restored and transformed because of this weight loss program. All of this is just the beginning. Dr. Urshan. He is constantly hard at work to help people live better, healthier lives. Schedule a weight loss consultation with Dr. Urshan today and we’ll help you smile again.